You came into my life two short years ago and you touched me in a way so few people have. We were instantly connected by our genetic mutation and our unending desire to see a world without cancer. 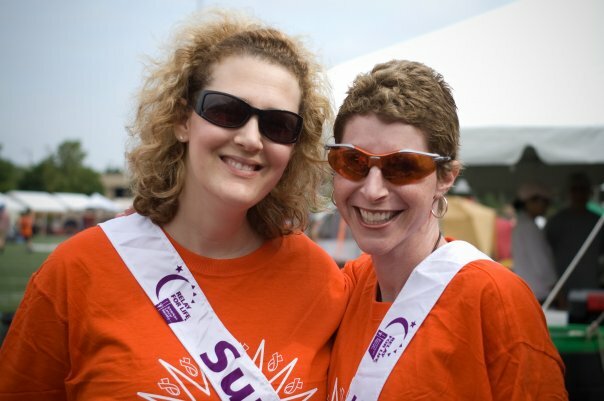 With Lori at Relay for Life in 2008. You introduced me at Relay for Life as a cancer warrior but you were the cancer warrior. You fought Ovarian Cancer like a champion for so many years. I admired your strength and your ability to find the humor in nearly every situation. I looked forward to reading your blog posts and laughed out loud at your frank and hilarious stories. Tomorrow will be a sad day for the thousands of people who were lucky to know you. You were loved and admired by so many. And we will all continue to fight this dreaded disease in your memory and in your honor. This is my second post in one week. Pretty certain you’re reading this and running in the other direction wondering what I want you to do now. I know, every time I post, I’m asking for you to do something but this one is really important (OK they are all really important). But this one is really really important and can seriously impact lives. 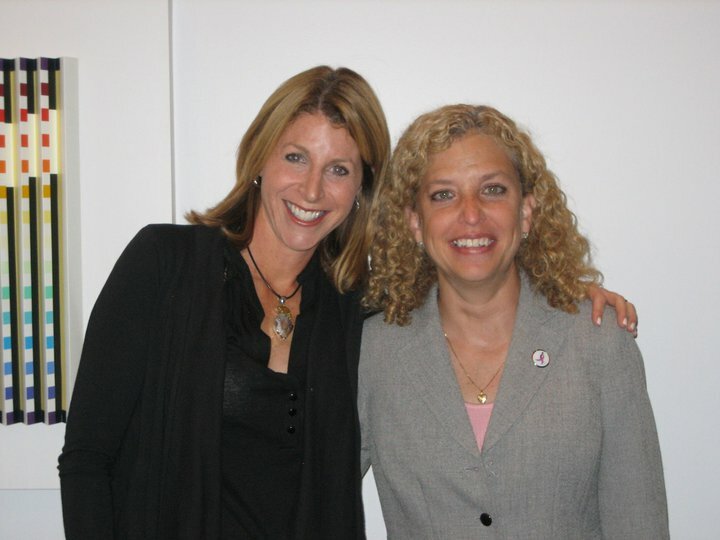 Representative Deborah Wasserman Schultz introduced #HR1522 legislation into Congress which will establish Hereditary Breast and Ovarian Cancer awareness week and make Wednesday of that week National Previvor Day. We need 100 co-sponsors in the house by August 2 and right now we have 20. Please take action quickly for my good friend Sue Friedman–who left a career as a vet to start FORCE over a decade ago. Take action for so many of my friends who’ve learned they have a BRCA mutation and have taken preventative measures before they’ve gotten a cancer diagnosis. Take action for way too many women who are battling metastatic disease because they found their cancer too late or had a recurrence. Take action for all the young women diagnosed with cancer because BRCA strikes younger women and is much more aggressive. Take action for the young girls in our lives who need to know about hereditary cancer so they can live long, healthy cancer-free lives. Take action now because August 2nd is quickly approaching.